In addition to a green thumb, an aspiring farmer or farm manager like you needs a compelling cover letter during his or her job search. Look over our farmer cover letter example to get a sense of what you might include in your letter while keeping the following do’s and don’ts in mind. Do communicate your experience. If you were raised on a farm or have ever worked or volunteered on one, draw connections between your past experiences and your present pursuit as a jobseeker. Don’t oversell your education. Even if you majored in agriculture, your cover letter should describe the experience and skills you gained along the way. Do discuss skills related to farming. Being a successful gardener or participating in farmers’ markets can indicate your passion for agriculture. A background in business management could also be useful for a farmer. Do consider telling a story. What inspired you to want to manage a farm? A narrative that links your education, experience, and skills with the requirements of a farming job can make the position seem like a natural fit. and start building your own cover letter now. 1. Be open to opportunities. Too many jobseekers have a single idea of what they are looking for and that’s it. As a jobseeker, you have to be aware that you may not get the exact position you are looking for right away. Instead you should be searching for a company that has the potential you desire. 2. Find opportunities. Becoming aware of different openings is essential to the job search. You can find job postings online, in newspapers, at libraries, through your network, at career centers and at job fairs. 3. Communicate first. Rather than sending your cover letter in right when you hear about a position, you should reach out to someone in the company. Use your network to find a friend of a friend or get connected through social media, and then ask that person to send your cover letter along. 4. Keep communicating. Once you have made initial contact with a potential employer, you have to keep the communication going. Send thank you notes, write emails, call or stop in to keep you at fresh in their minds. 5. Stay positive. Finding jobs as a Farmer is not always easy, but it is important that you stay positive. Your mindset can affect your search. Make daily goals for yourself and keep all interactions focused on the positive of things. 1. Focus on what makes you right for the position by discussing your related past experiences, skills and personality traits. 2. Try to order all of your content in a way that is important to the hiring manager. 3. 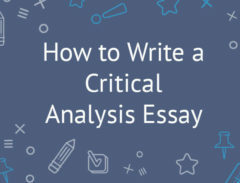 Focus on readability by using bullet points, incorporating the table tool, keeping your text flushed to the left, creating headers and properly using white space. 4. Avoid sharing information that is irrelevant, such as hobbies, political views or family details. 5. 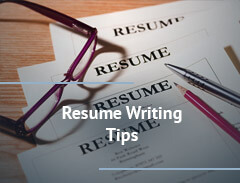 Use a reverse chronological order to put your most recent experience towards the top of the cover letter.